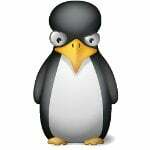 I know Ansible manages Linux server using SSH by default. I thought FreeBSD servers are running in the cloud are no exception. However, I ran into problems. I am unable to manage freshly created FreeBSD server using Ansible DevOps/IT automation tool. How can I manage my FreeBSD server using Ansible? Introduction – Ansible is easy to use IT automation and DevOps tool. One can use it for automation tasks. 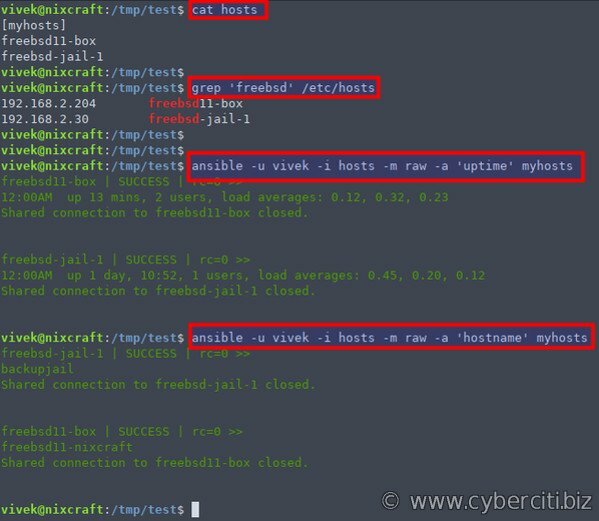 You can easily configure and manage FreeBSD server using Ansible. Ansible works from a control workstation powered by macOS, Linux or *BSD family of operating systems. 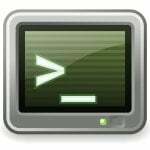 A control workstation sends commands to multiple local/remote servers in parallel over the ssh based session. All you need is ssh and python installed on a control workstation and remote servers. A control machine located at 192.168.1.107. It must have ssh client, Python and Ansible software installed. A control machine can be powered by macOS, Linux distro or BSD operating system such as FreeBSD. A control machine (Ansbile software) will send commands to multiple target machines in parallel. 192.168.2.100, 192.168.2.101, 192.168.2.102 and so on all are servers powered by different operating systems. Let us see all steps. The final requirement is to install Python on FreeBSD box. So you prepare FreeBSD server to be managed by Ansible. Now what? 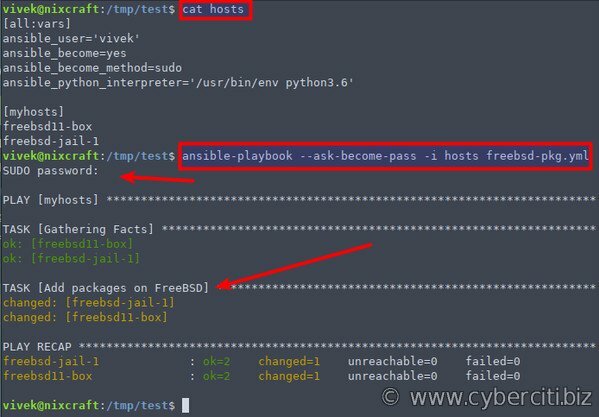 You can do other stuff like install packages, update packages, upgrade FreeBSD and much more be using Ansible playbook. And there you have it, and Ansible used to manage FreeBSD boxes without using clients on server. Ansible is pretty easy to setup and use. Ansible works very fast for repeated tasks such as adding users in bulk, installing software, configuring *BSD/Linux/Unix boxes. YAML takes a little time to master but easy to learn. See Ansible documentation for more info here and here. Tested with FreeBSD 11.2 and 12.x too.